The Motorola DROID RAZR M XT907 supports microSD (TransFlash) memory cards. A microSD card can be purchased from any Verizon Wireless retail store or at the online store. 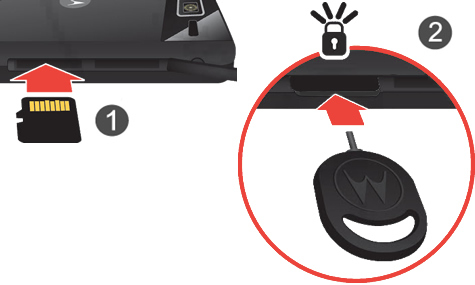 With the display facing downward, open the access cover (located on the left side of the device). 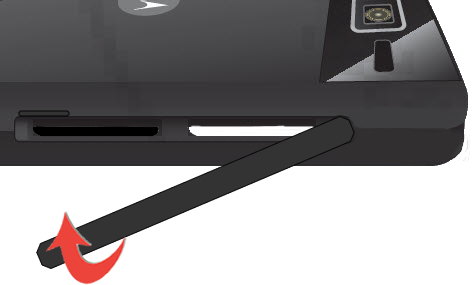 Utilizing the notch, carefully lift then rotate the cover away from the microSD card slot. With the gold contacts facing up, insert the memory card as shown. Press in on the card until it locks into place (figure 2).